Pretty fly… for a white guy. I haven’t posted anything for a while, don’tcha worry though, more content is coming to your favourite Lambretta blog soon. In the meantime here’s another evocative picture, even better than the last one… this fella’s got BOTH wheels off the ground! 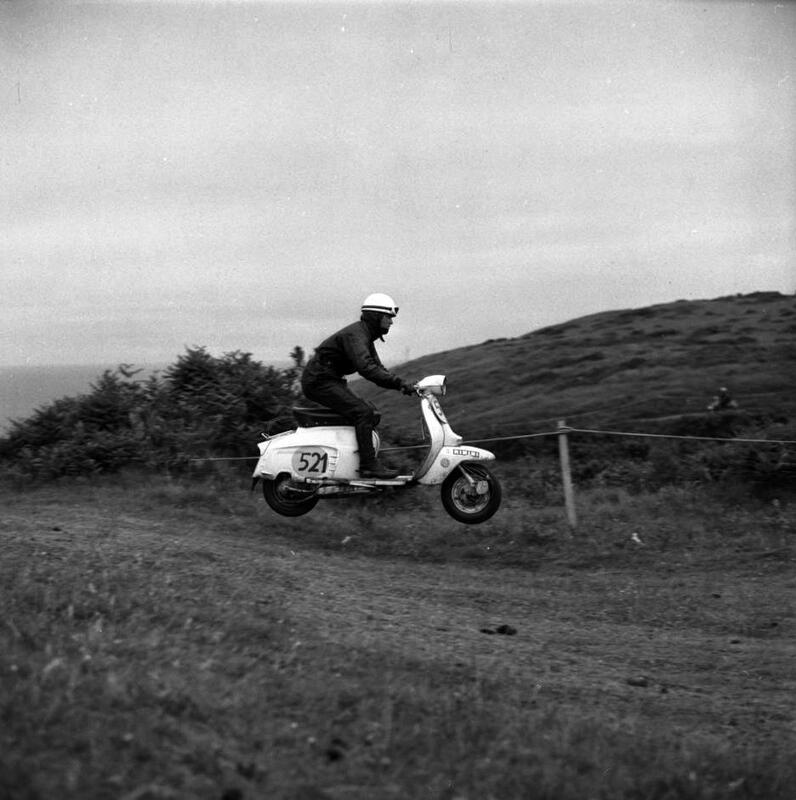 This entry was posted in Lambretta Imagery by crocodilejock. Bookmark the permalink.